What estate planning strategies are available for non-U.S. citizens? Non-U.S. citizens in the United States face some estate planning challenges when it comes to taxes. If you’re a U.S. resident, but not a citizen, the IRS treats you similarly to a U.S. citizen, with a few exceptions. But if you’re a nonresident alien, the tax treatment of your estate will be significantly different. IRS regulations define a U.S. resident for federal estate tax purposes as someone who had his or her domicile in the United States at the time of death. One acquires a domicile in a place by living there, even briefly, with a present intention of making that place a permanent home. Whether you have your domicile in the United States depends on an analysis of several factors, including the relative time you spend in the United States and abroad, the locations and relative values of your residences and business interests, visa status, community ties, and the location of family members. If you’re considered a resident, you’re subject to federal gift and estate taxes on your worldwide assets, but you also enjoy the benefits of the $11.18 million lifetime gift and estate tax exemption and the $15,000 gift tax annual exclusion. And you can double the annual exclusion to $30,000 through gift-splitting with your spouse, so long as your spouse is a U.S. citizen or resident. However, the unlimited marital deduction isn’t available for gifts or bequests to noncitizens, though it is available for transfers from a noncitizen spouse to a citizen spouse. If you’re a nonresident alien — that is, if you’re neither a U.S. citizen nor a U.S. resident — there’s good news and bad news in regard to estate tax law. The good news is that you’re subject to U.S. gift and estate taxes only on property that’s “situated” in the United States. The bad news is that your estate tax exemption drops from $11.18 million to a miniscule $60,000, so substantial U.S. property holdings can result in a big estate tax bill. Taxable property includes U.S. real estate as well as tangible personal property (such as automobiles and artwork) located in the United States. Determining the location of intangible property — such as stocks and bonds — is more complicated. For example, if a nonresident alien makes a gift of stock in a U.S. corporation, the gift is exempt from U.S. gift tax. But a bequest of that same stock at death is subject to estate tax. On the other hand, a gift of cash on deposit in a U.S. bank is subject to gift tax, while a bequest of the same cash would be exempt from estate tax. 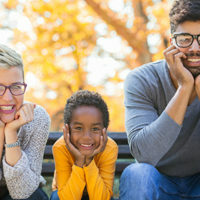 Your status as either a U.S. resident or a nonresident alien will affect the estate planning strategies available to you. We can help you create an estate plan that will minimize estate tax and allow you to pass more on to your loved ones.